Go! Go! Go! 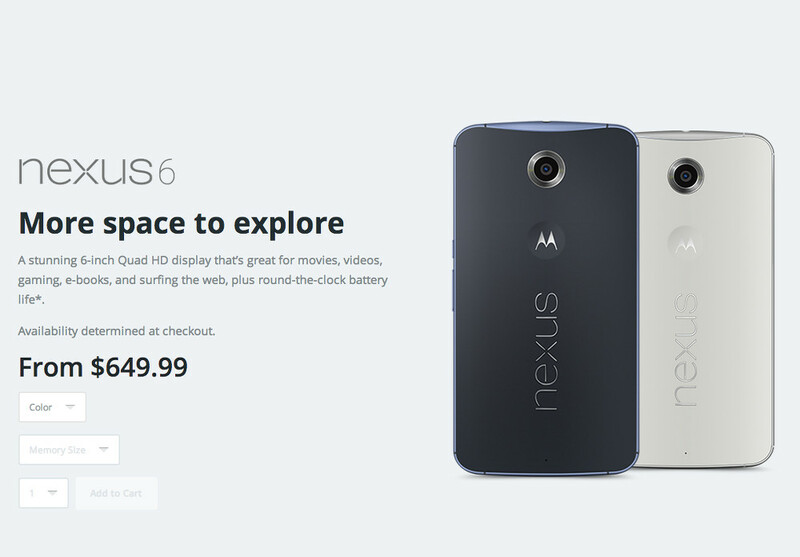 Motorola’s store has the Nexus 6 in stock now. We aren’t sure how long this will last or how many Motorola has available, but they currently have both Midnight Blue and Cloud White models in stock with either 32GB or 64GB of storage. Also of note, you can use Motorola financing to buy the device, with the $650 (32GB) variant running $54.17 per month and the $699 (64GB) variant running $58.33 per month. Motorola is offering free shipping. The white whale that I just ordered shows an estimated delivery date of November 19. I hope that is wrong, since T-Mobile plans to launch the phone on November 12.